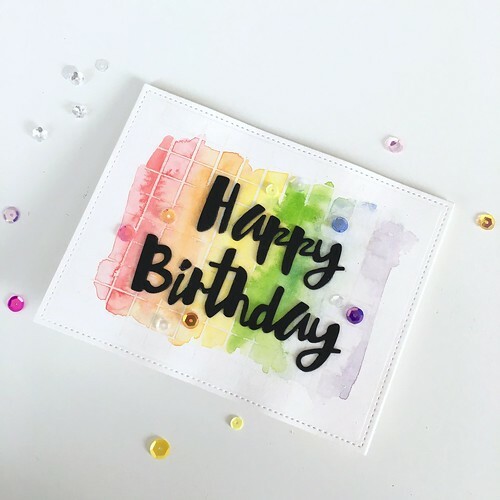 Continuing with the insane amounts of watercolor painting I’ve been doing lately, I’m sharing a rainbow-colored birthday card today. 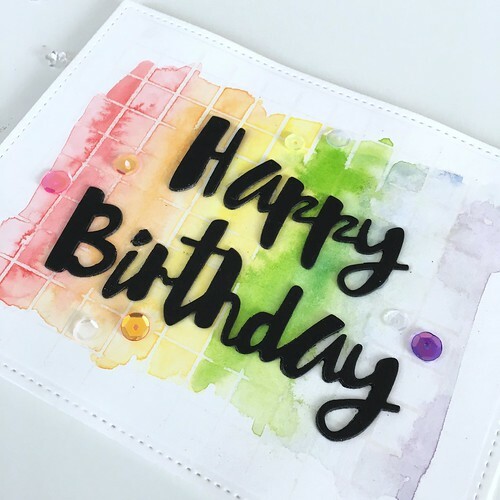 To create the watercolor panel, I first stamped a Simon Says Stamp Grid Background stamp in VersaMark ink and heat-embossed it with clear embossing powder. 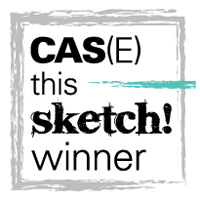 I then painted a watercolor wash over the top with various bright colors in rainbow order. My panel was a bit too large for an A2 card base, so I used a stitched rectangle die to cut it down a bit and add some interest to the border. 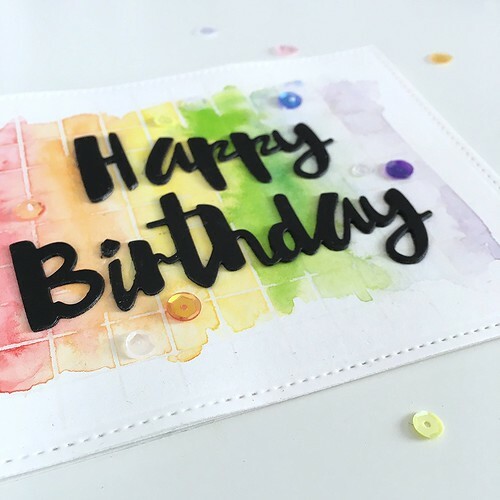 I used the SSS Painted Happy Birthday die (cut from black licorice paper) for the sentiment. I glued the sentiment on and added some coordinating sequins before attaching everything to a card base.